Celebrating the success of Lucy Reynolds’ A Feminist Chorus for Glasgow International 2014, MAP are pleased to present A Feminist Chorus during the 21 Revolutions exhibition at Platform, Glasgow. The screening will coincide with the publication, which includes the collected scores for the Chorus and a commissioned essay by Dr Sarah Neely. Sarah Neely and Lucy Reynolds will discuss the Feminist Chorus project during an evening event hosted by Glasgow Women’s Library. A Feminist Chorus contributes a communal voice to Glasgow women’s history and recalls the collective power of the Women’s Movement tracing it through the spaces, writings and memories of the city. The full spoken word score for the chorus brings together three connected narratives of women’s histories in Glasgow. Participants from a wide community across Glasgow came together in a one off publically attended and film, sell out performance to recite the score drawn from the collection at GWL and the city’s archives, including personal texts, readings of historic registers from The Glasgow School of Art and the Glasgow Society for Lady Artists, and extracts from historic and contemporary writings. For Glasgow International, sections of the score were also installed as sounds works in the ‘Hen Run’ at Glasgow School of Art and at the former home of the Lady Artists’ Club, 5 Blythswood Square. 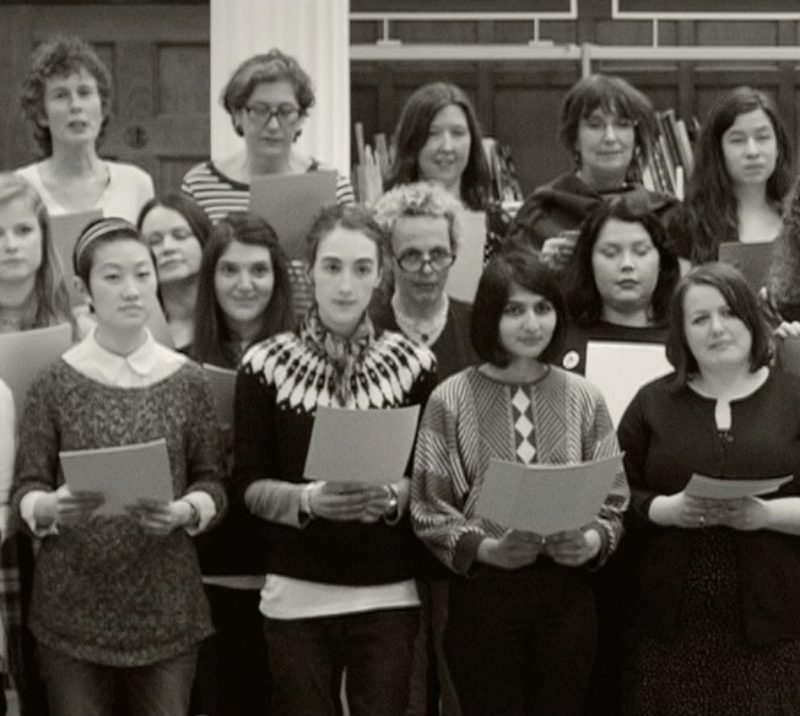 MAP would like to thank the Glasgow Women’s Library for their continuing support of A Feminist Chorus . Thanks also go to The Glasgow School of Art, Mackintosh House and all the wonderful participants who generously gave their time and stories to the project. And finally, thanks to Creative Scotland for generously funding the project.